A glamorous yet understated design, the Ilulisat Table Lamp by Heathfield & Co is expertly formed by skilled craftsman in the UK. A reactive glaze disperses hues of aqua, indigo and bronze throughout the white ceramic form. The painterly effect ensures each lamp is entirely unique, creating a focal point in a bedroom or living room. 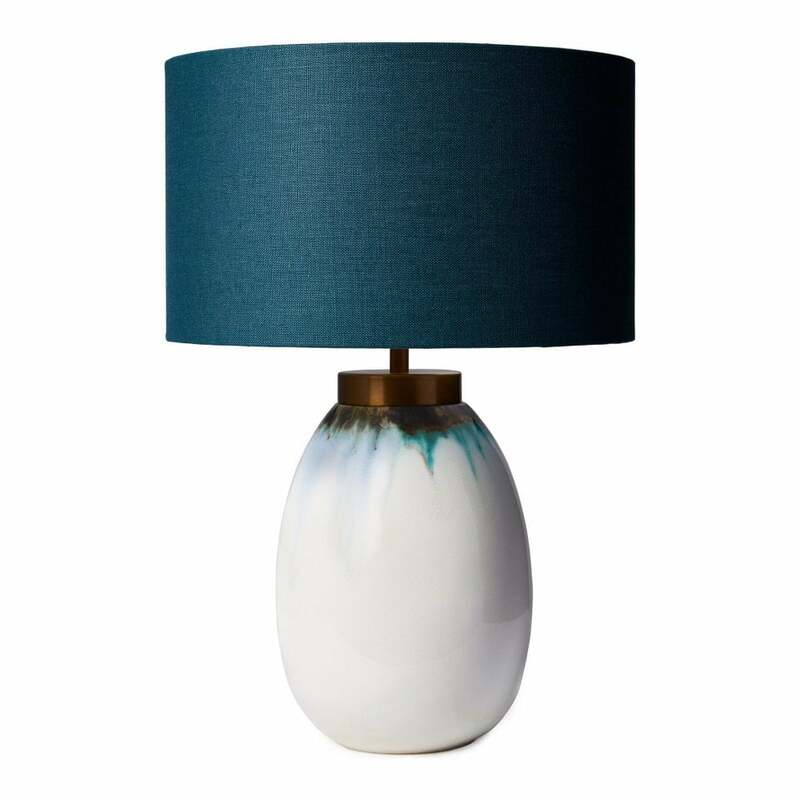 Inspired by ancient glaciers, this striking lamp is complemented by brass detailing and a luxurious teal linen shade. Get in touch with our team to receive advice, tips and fabric samples. Priced for 12" Flat Drum shade in silk with white PVC lining. Please contact us for other options.